These 2 beautifully restored 2-story victorians, connected by gardens were built in 1872 & 1909. With many of the original features still intact, the General's Quarters Bed & Breakfast Inn is located 84 miles east of Memphis and 124 miles west of Huntsville in the historic district of an old Civil War town. The grounds are beautifully landscaped with a lovely pond, magnolias, roses and azaleas. Shopping, museums, historical sites, antiquing, restaurants, a library, coliseum, and playhouse are all within walking distance. Take a short drive to Shiloh National Military Park or Pickwick Lake on the Tennessee River. Boating, fishing, golf, tennis, hiking and biking are available. 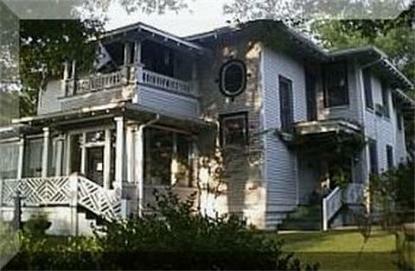 The inn has been rated as one of the top ten bed & breakfasts in the state.